Just click on the group name to select it. Select the group name which you want to change. Now Press F2 from your keyboard. 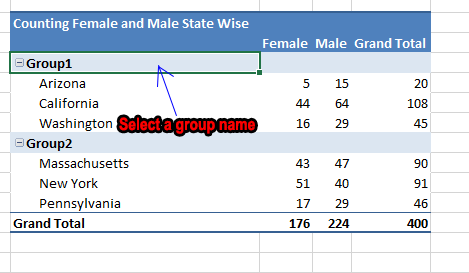 Use backspace to delete the existing group name and enter a new group name. 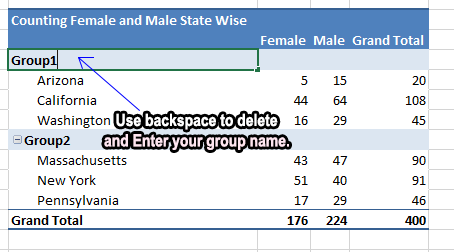 Use backspace to delete the existing group name and then enter a new name. 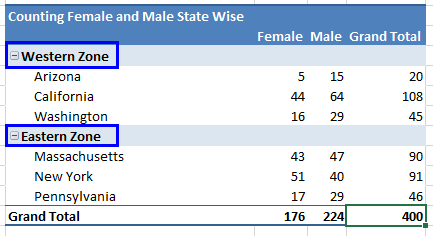 We have changed group1 into Western Zone and group2 into Eastern Zone.